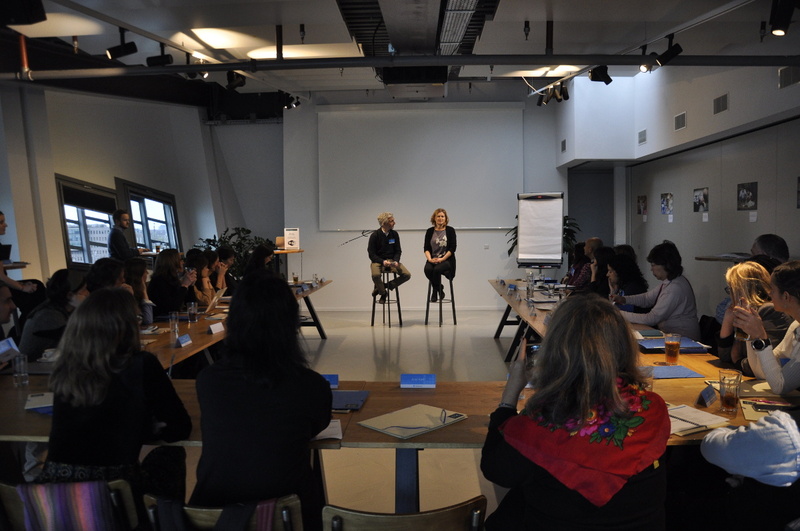 Late in 2017, we gathered experts from 17 countries in Amsterdam to explore best practices in coaching parents on child development, part of our Parents+ programme, which bundles parent support with existing services. 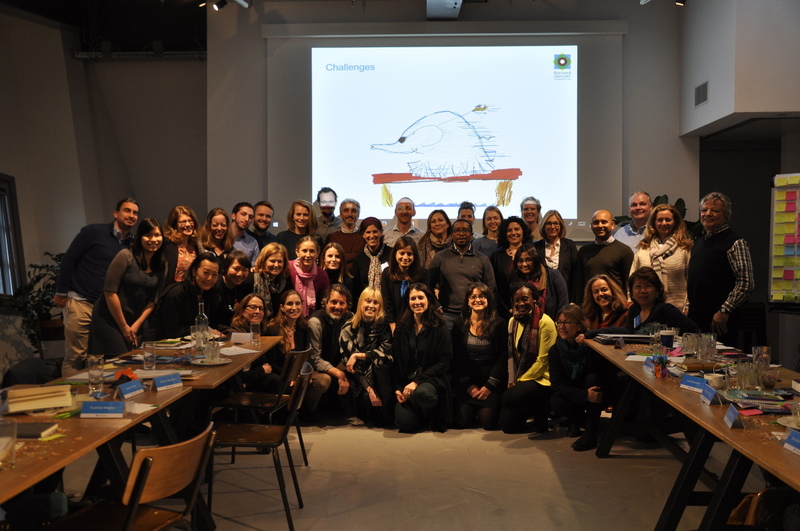 Among the participants was Linda Leijdekker from the First 1000 Days team of the Amsterdam Healthy Weight Programme. In this Q&A she discusses her work and some of the wider issues it raises. BvLF: What’s your professional background? Linda: I trained as a paediatrics nurse, and worked in the Netherlands and the UK, in hospitals and in community paediatrics with a focus on public health. During that time it became very clear to me that children from poorer backgrounds ended up in hospital much more often than those from well-off families. I became interested in the best ways to support parents to care for their children. I did a masters in pedagogy and child development. Since working with the Amsterdam Health Weight Programme I’ve come to appreciate how much knowledge has advanced in the last few years on what influences a child’s metabolism and health – things like sleeping and feeding patterns established soon after birth, or a mother’s diet or activity or stress levels during pregnancy, or whether a baby can move around enough, which matters for their cognitive as well as motor development. The causal links are in many cases still uncertain, but we know enough to help parents make better choices. And we have a responsibility to get these insights across. BvLF: How big a problem is childhood obesity? Linda: Obesity is associated with a range of health problems in later life, from diabetes to higher risks of certain types of cancer. And it is a growing problem globally – on current trends, by 2022 there will be more obese children in the world than underweight. But we need to be concerned not only about those children who are obese enough to have physical or psycho-social problems and be less able to move. We know from blood tests of 5-year-olds in Amsterdam that among those who have a healthy weight, 23% nonetheless have fat and sugar metabolism indicators suggesting heightened future health risks. That’s why we focus not on preventing obesity, but on trying to establish healthy habits early in a child’s life that will minimise the chances of future health problems. BvLF: Is your nursing background an advantage for talking to parents about healthy child development? Linda: In some ways it is, and public or community health services are a natural way to reach parents so it’s not surprising that they feature often in the Bernard van Leer Foundation’s Parents+ work. But I’ve also learned that health professionals aren’t always best placed to coach parents. In general, they tend to have only a very short contact time with parents – and parents often see a different professional on each visit. That makes it hard for health professionals to build a personal rapport with parents, which is necessary to support them in putting information into action. And we all have personal experience of how difficult that can be. There are things we know perfectly well we should do – perhaps eating less chocolate, or going more often to the gym – but actually doing them is a different matter. Just giving parents information isn’t enough to change their behaviour. It’s especially tricky when the information they’re hearing from health professionals challenges some deep-rooted belief. BvLF: Is that a particular problem with issues of children’s weight? 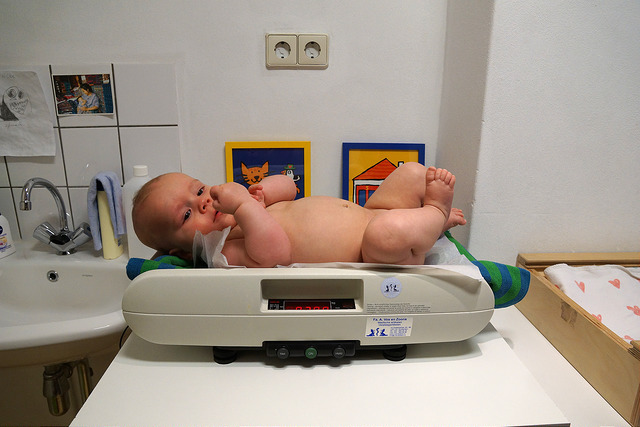 Linda: Yes, most parents assume that a baby or toddler being chubby is a sign of good health. That’s hardly surprising – after all, for most of evolutionary history, it’s been true. It’s difficult for people to process the idea that in our modern world, an infant who grows very fast can be a cause for concern. A health professional trying to get that message across faces the challenge that they don’t have much time with a parent to talk through their point of view. And even if the parent is convinced that she should change her behaviour, she may struggle to explain it to her spouse or extended family, all of whom may believe that a chubby child is nothing to worry about. It can be more challenging to connect if the health professional comes from a different cultural background. BvLF: How can messages on healthy weight be reinforced through the community? Linda: We’re increasingly focusing on identifying the people in particular communities who are most influential, and inviting them to become “health ambassadors”. Without wanting to downplay the role of men, in practice that often means aunts and grandmothers. Religious leaders are important in many cultural contexts, too, as they are present and able to give advice at important life stages such as marriage, birth and baptism. It’s important to be open-minded and imaginative about what might be the best ways of reaching particular communities. For example, we are working with a woman from West Africa with experience in theatre to write and produce vignettes that we can use to initiate conversations – about a pregnant woman, for example, who hears from her midwife that it’s important to be active, but whose mother wants her to stay on the sofa with her feet up. Another challenge is to reach future parents before they conceive, so they understand that a woman’s health at conception also matters. That’s a message schools could usefully get across. The key is to approach the problem from as many angles as you can think of – when people start to hear the same thing from different directions, that’s how you achieve critical mass. BvLF: How important is it to frame messages positively? Linda: The usual approach is indeed to focus on the positive effects of good decisions, and to talk about chances rather than being deterministic – that is, to say something like “if you make good decisions you give your child a better chance of being healthy” rather than “if you don’t do this, your child will get sick.” You want to make parents feel encouraged to take positive steps, however small. If you try to scare them into doing the right thing, you risk making them feel overwhelmed and helpless. Interestingly, though, I’ve observed that when we work with health ambassadors in immigrant communities in Amsterdam to adapt our messages to their languages and cultures, they often seem instinctively to translate them into a more negative frame. I would be fascinated to see research into whether or not positive frames are more effective in some cultural contexts and ‘scare tactics’ in others, and what factors might explain that if so. It’s a topic I was interested to discuss with other participants from around the world at the Parents+ meeting. BvLF: How challenging is it to translate research findings into simple messages that parents can grasp? Linda: There are some useful rules of thumb like “five a day” with fruit and vegetables, getting out of breath for half an hour a day, exclusive breastfeeding for six months, giving babies “tummy time”, and so on. But some messages are intrinsically challenging to get across – for instance, we know that a child is likely to grow up healthier if their mother is less stressed while pregnant, but parents who are living in difficult circumstances don’t have much of a choice about being stressed. Often the message is about challenging assumptions – for example, many parents assume that a baby ought to empty their bottle at every feed – and encouraging a parent to attend to their child’s individual cues. We need to coach parents to recognise how their infant signals that they have had enough food. Many parents also need help to recognise when their baby is over-tired and needs to be helped to sleep – infants’ sleep patterns are correlated with developing a healthy metabolism. Ideally, in a process of co-regulation, the parent gets better at understanding what their child means, and that helps the child to get better at expressing itself. Some assumptions are especially hard to change because they are embedded in wider culture. For example, seeing sweet food as a treat – we serve sweet food at family celebrations, we give a child something sweet to reward them for doing something good, or calm them down if they’re upset. Children would grow up healthier if we could break this widespread correlation between happy emotions and consuming unhealthy food. BvLF: What else should society be doing to help parents make the right choices? Linda: In so many ways, we have arranged our lives so that the healthy option is the more inconvenient one – when it’s easier to drive than to cycle or walk, cheaper to buy fast food than fresh fruit and vegetables, simpler to give a child a screen than take them to a local playground. In Amsterdam we are trying to change the environment so that healthy living becomes the easier option: better cycling lanes, play areas, getting unhealthy food out of schools and sporting facilities, and so on. One area that I believe we should do much more to tackle is marketing. I encounter parents who are genuinely convinced that certain unhealthy products are normal or even essential in a baby’s diet – sweetened baby biscuits, or ready-made sweetened “good night porridge”. And jars of baby food often come in unsuitably large portion sizes. BvLF: What were your impressions from the Parents+ convening? Linda: Many of the people I talked to are working in much more challenging circumstances than Amsterdam, but it was inspiring to me that we managed to help each other think through approaches despite the differences in cultural contexts and political challenges and so forth. It also reinforced my conviction that parenthood is a crucial window of opportunity – when somebody finds out they are going to become a mother or a father, that often makes them open to change. If they have had a difficult life, parenthood can motivate them to better choices – to stop smoking, for example. And in the first few years of a child’s life, parents have much more control over what that child does. Reaching the families of young children in their homes has enormous potential to make a difference that lasts a lifetime. And with very, very few exceptions, parents want the best for their child – they want to do the right thing. Our challenge is to connect with them, and empower them to make good choices. 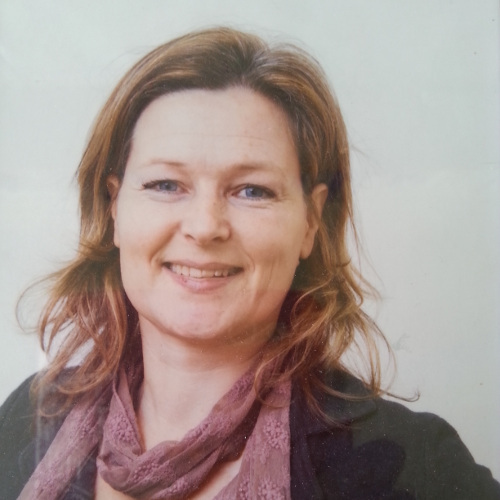 Linda Leijdekker trained as a paediatric nurse in the Netherlands. She worked in the Netherlands and in the United Kingdom in different nursing roles: on paediatric wards, paediatric intensive care, teaching and professional development. She did a MA in Pedagogics at the University of Amsterdam. After a few years as a community paediatric nurse she started working for the Amsterdam Healthy Weight Programme. Here she focuses on the prevention of childhood obesity in the first 1000 days of life, from conception to a child’s 2nd birthday.